w99 William Edwards Deming ( statistician , electrical engineer, management consultant) couldn’t find enough work in post-war USA. He went to Japan which united around his passion to produce things with next to zero defects. This pursuit of quality systems helped Japan develop from the failed and beaten eastern nation of world war 2 to the second largest economy by the 1970s. 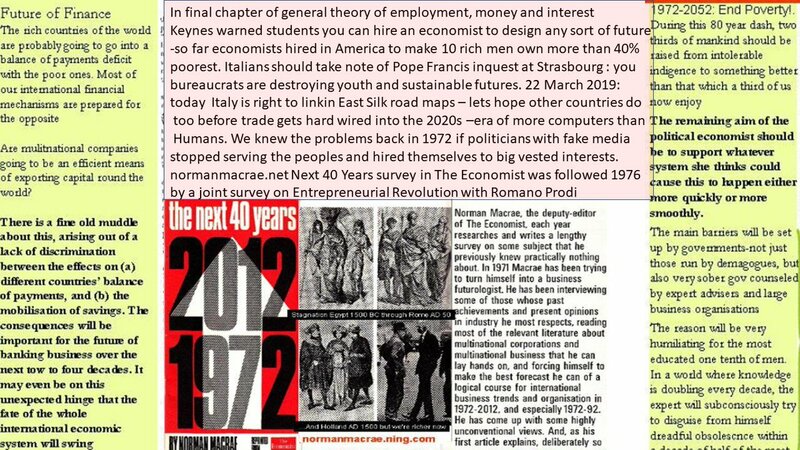 (see The Economist 1960s series of surveys Consider Japan). Without japans contribution, development in computing- let alone space races - would have been delayed as would such citizen developments as supertrains. 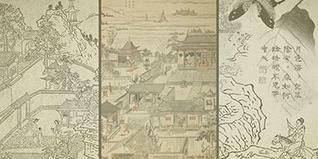 Japan led the race to minaturisation which used ever less energy per unit of calculation or communication. More generally Japan started the eastern hemisphere world trade dynamic of win-win innovation which at its best : ended colonization, pursued peace, translated happily energising cultures, and designed trade around communally improving the human lot. It is partnerships with the east that have driven the most miraculous systems designs for ending poverty and sustaining better livelihoods of all our next generations. While Japan’s economy eventually got trapped in property speculation in the 1980s, win-win trades out of asian pacific superports mainly operated by the Chinese diaspora turned these peoples into the 3rd wealthiest financial services network by the mid 1970s. They were invited to inwardly invest their win-win infrastructure technologies as well as this wealth and smart mediation in mainland china. The greatest job creating miracle was born and today through such extraordinary servant leaders as E1 Xi Jinping and the CPC19 charter of evolving moderately prosperous societies offers upwards of 100 national leaders simultaneous maps for designing the sustainability generations win-win trades and open learning economies. Back in Deming’s day: Electronics calculating devices as one signature new-quality driven market enabled statisticians to take on big data sets the like of which would previously have been impossible to conceive let alone analyse. Where will quality technology exponentially lead? Technology is neutral . It doesn’t necessarily design win-wins unless humans -girls and boys - do. What IT now does simultaneously around mother earth is: opening the door to such tipping point possibilities as Big Data Small analysis which can offer extraordinary opportunities when bridging the pre-digital and post-digital generations of being (see E3 Jack Ma). In parallel, we observe that while shifts to service economy can advance win-wins they don’t necessarily do so even when a post-digital age with universal mobile distribution provides the opportunity to replicate apps anywhere at almost no extra cost per community reached. Leapfrog models need to be celebrated by youth as the greatest people-growth innovations ever marketed where this new economic opportunity is applied preferentially to communities that the industrial age left out. Jack Ma has invited Japan to take such celebrations to new heroic levels as first host of the Olympics mainly sponsored by ali baba instead of Coke. Women may bear witness to how mobile phones result in extraordinary apps when partnering bangladeshi village mothers who previously had no phones nor literacy and only face to face communication. Bangladesh’s underemployed girl population were also the first to scale microsolar precisely because of the value this brought to rural places that had never had access to electricity grids. In the pre-digital village networking era, which Bangladesh as 8th largest and most poor nation engaged as a new nation in 1971, microfranchising was one of sir fazle abeds unique innovations. This open sources a solution a community needs to be locally sustaining. As Sir Fazle says the hallmark of all service franchises triangularises the 3E's Effective ( solves a vital service need), Efficient ( continuously improves to be uniquely sustain best quality at the most responsible price), Expandable ( replicable to every community with similar life shaping need). Microfrencahsies designed from the bottom-up multiply levels of value exchanging transparency that top-down planners however expert their functions could not verify in real time dynamic detail even if they wanted to. And of course like any win-win franchise training model microfranchises need to be designed conscientiouly around a positive income model. But and this is a defining but, the microfranchise does not use positive income to reward some group of owners with no interest in the community development goal; it does use the positive income to continue linking in a service purpose which the world would uniquely miss if this microfranchise did not exist. And to turn any change in the environment - technological or cultural - into a win-win. Let us summarise the two reasons why sir fazle microfranchise innovations offer the best news humans have ever interacted. First ,prior to knowing about BRAC’s microeconomic model, most service businesses even in the market for aid were not designed so that human growth and value stays with each local team and community served. Worse as the West raced toward global corporations in service industry, the systems monopoly standard of accounting refuses corporations to value advances in peoples training because this dismal logic argues that companies can only count investments they own not people free to change employers; in such industrial age accounting training processes are counted as costs. Second, BRAC's brand DNA has always been as an action learning organisation inspired by Paulo Freire’s idea- go live in the deepest middle of the very poorest to prove how innovative a professional practitioner can wholly be. 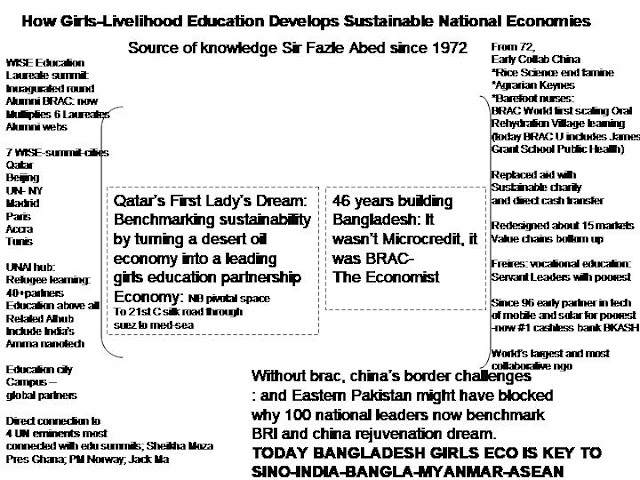 In other words, for anyone who believes that sustainability goals ultimately test what educational systems humans are capable of celebrating, going to learn with BRAC is the most inspiring adventure imaginable, and dare parents around the world promise: the truest one for anyone who advocates that girls and boys are economic equals. World record jobs creation –and people-friendly globalization 2.0 - urgently needs to examine professional monopolies wherever their congresses and academic gurus rule over zerosum maths. We need to leap beyond tangible accounting monopolies that falsely devalue intangibles such as trust and Loveq; macroeconomic consensus that externalizes zero sum and less onto already weakest localities are terifying because they are exponentially preventing the growth of people from baby girls up. Ironically the industrial age started by English-speaking bosses of the 1700s , ie stuff which multiplied by what can humans do with machine power, all too often spiraled into impacts that were zero-sum or less wherever it enslaved or colonized, went to wars over who had access to consuming the most carbon, designed numbers economics and short-term reporting (including scary media) round zero-sum instead of way above zero-sum value exchanges. LAST CALL - IS HUMAN RACE UP FOR THIS? Note the opportunity of the age of investing in learning tech: how deeply and communally actionable learning multiplies value in use contrasted with just producing and consuming more and more things around a zero-sum game in which the big get bigger instead of the better (most trustworthy and transparent win-wins from local to global) getting better. Over 2,000 delegates gathered recently at the eighth World Innovation Summit for Education in Doha to share experiences and ideas, and to explore solutions to the challenges of education in times of disruption, political turmoil, and global conflict. Under the title, Co-Exist, Co-Create: Learning to Live and Work Together, over 100 speakers and moderators led an array of intensive, focused discussions on the implications of constant technological change for teaching and learning, entrepreneurship, reimagining higher education in the connected world, and much more. In this special edition of the Newsletter, we share some highlights. 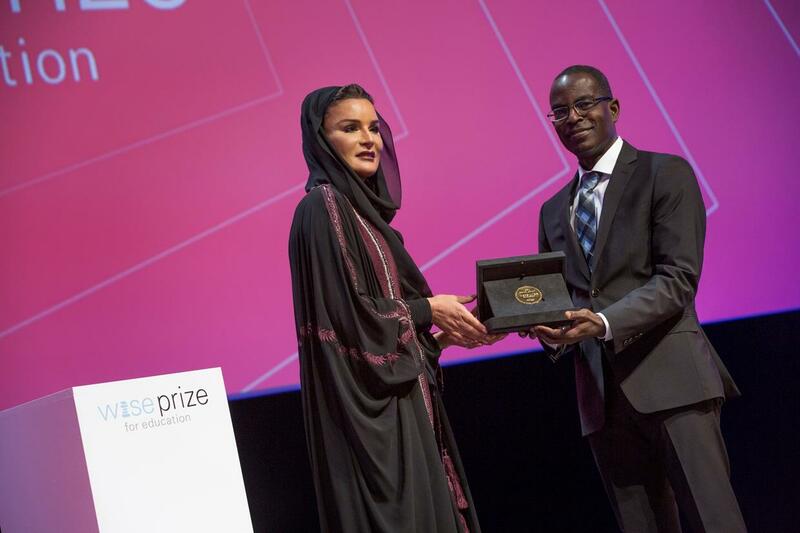 Qatar Foundation Chairperson Her Highness Sheikha Moza bint Nasser presented the WISE Prize for Education to Dr Patrick Awuah, Jr., founder and president of Ashesi University, Accra, Ghana (pictured). The new WISE Research series, featuring reports on key topics in global education, was presented in meet-the-author sessions, panels, roundtable discussions, and informal conversations in the Majlis. Full texts are available for download online. WISE partnered with the C2 Lab to create a collaborative, hands-on experiences in the Majlis to envision future schools. Delegates of all ages worked in groups on brainstorming challenges designed to unlock creativity. By the Summit’s end, they produced over 1,000 ideas reflecting the leveraging power of collective intelligence. The WISE Learners’ Voice program fellows presented their social initiatives addressing refugee education challenges, including early childhood education and integration in local schools. Selected group projects were presented, creating opportunities for feedback and collaboration with WISE delegates and organizations for developing the projects. WISE launched an intensive pre-summit ‘Doha Learning Week,’ featuring screenings, hackathons, lectures, sport, school tours, and technology showcasing the rich variety of education resources in Qatar. Read more highlights from WISE 2017 in the following sections of the Newsletter. View a replay of the Opening Plenary online. Further footage from the Summit will be available. “Let us be inspired by this year’s WISE theme of co-existence, and place it at the core of solutions for different challenges –from issues of peace to stability and development. Let us return to education to reinforce this truth.” --Her Highness Sheikha Moza bint Nasser. "The countries that have done well, even without natural resources, are the countries that have invested in education and skills training. It is not natural resources that build nations, it is people who build nations... It is Africans, especially the youth of today, who are going to build Africa." --President Nana Akufo-Addo of Ghana. “The only solution [to a post-truth political climate] is education –to insist that there are such things as facts, and something called truth, and that it can be achieved by hard work, evidence, by analysis. These are not simply for the construction of alternate realities; [that] is a path to the decline of civilization. The only thing that can stop it is education.” --commentator Fareed Zakaria. "One solution for seeking truth... is to create these kinds of multi-civilizational classrooms and multi-civlizational events like WISE, and to say: Hey, there are different pespectives, we can put these together to see the world as a whole." --Dean Kishore Mahbubani, the Lee Kwan Yee School of Public Policy. "Literature should be an essential part of education because it teaches you empathy, makes you think about living in somebody else's skin. Then I think we are more able to live peacefully with one another. We are more able to understand that people are different and that it’s okay. That’s why I am such a believer in the power of stories and story-telling as an essential part of what it means to be educated." --Chimamanda Ngozi Adichie, author of Half of a Yellow Sun (pictured, right). "My university was meant to be global, not just geographically, but age global, ethnicity global... to reach everyone. And that is new because the best universities pride themselves on their exclusivity... My university was meant to be the opposite.... Lifelong education should be a basic human right. The revolution is unstoppable... Everybody deserves the right to participate in society, and I believe education is the key." --Sebastian Thrun, chairman of Udacity. "Education really isn't about skills versus knowledge, or art versus science. It really should be about both. At the core I think we need scientists who are sentitized to the humanities, and we need humanities scholars who are scientifically literate." --Stavros Yiannouka, CEO, WISE. 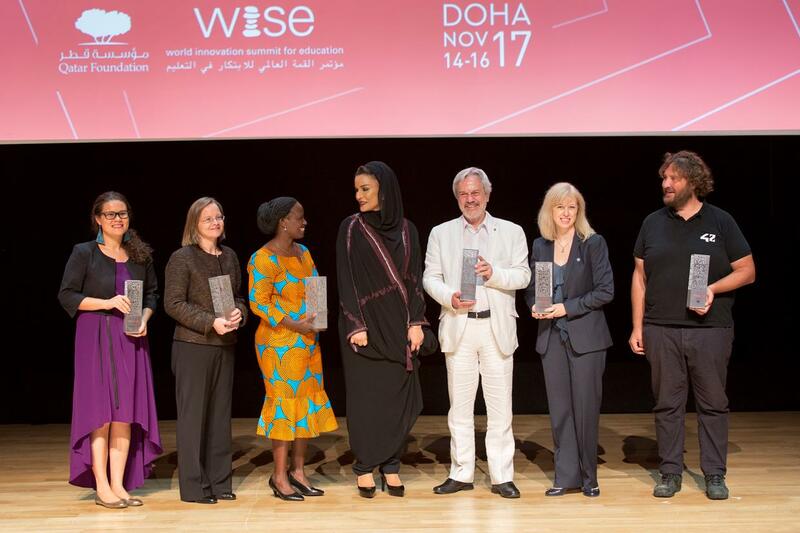 The six WISE Awards winning projects for 2017 were honored during a presentation ceremony at WISE, including screenings of short films about the projects, and remarks from project representatives. of Camfed Tanzania, Paolo Speller of the Organization of Ibero-American States for Education, Science, and Culture, Caitlin Baron, the Luminos Fund, and Nicolas Sadirac of School 42. Read full details of the 2017 WISE Awards projectsonline.The submission period for the 2018 WISE Awards is open until 30 January 2018. CamBioScience, a WISE 2017 Accelerator project, is joining 'EDUCATE', an initiative funded by the European Regional Development Fund and coordinated by University College London's Institute of Education. 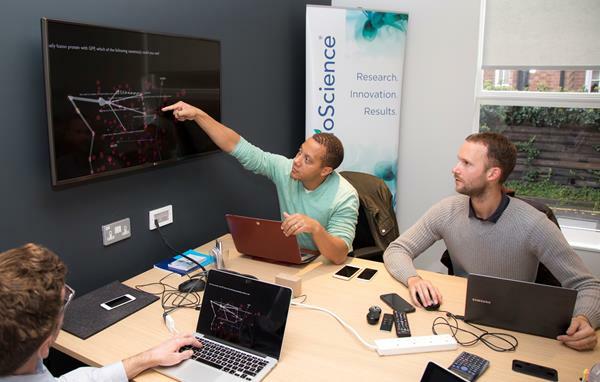 CamBioScience will conduct research on its unique data collection systems and adaptive learning algorithms to better understand their potential for improving engagement, self-efficacy, knowledge acquisition, completion rates, and the ability to perform new technical skills. This week WISE introduces a new podcast series, called WISE Words, featuring conversations with leading thinkers, innovators, and changemakers of all kinds on education challenges around the globe. We are launching the series with a discussion between Dean Kishore Mahbubani of the Lee Kuan Yew School of Public Policy, Singapore, and Stavros Yiannouka, CEO, WISE. 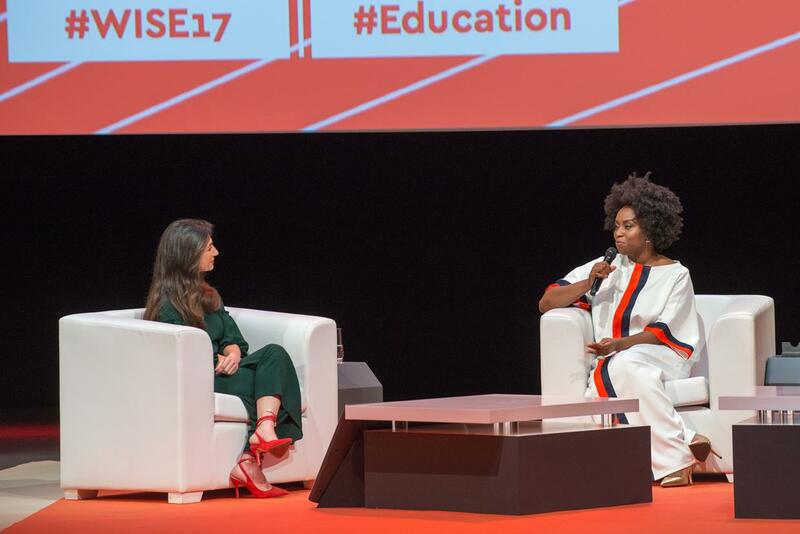 Upcoming episodes will include further conversations recorded at WISE 2017 with journalist and commentator Fareed Zakaria, the acclaimed writer Chimamanda Ngozi Adichie, entrepreneur Sebastian Thrun, and others. Please subscribe and listen using these links: itunesor soundcloud. With the conclusion of the 2017 Summit and an ambitious calendar of commitments already in place for next year and beyond, the WISE Team is staying excited and busy. Here are a few highlights of our priorities. At the Summit, WISE launched the Agile Leaders of Learning Innovation Network (ALL IN), which follows earlier research and a capacity-building program for school leadership. WISE is poised to go 'All In' to enable and empower a global network of leaders, ultimately to achieve better student outcomes. As WISE has contributed to shaping education policy, such as in the Asia-Pacific (APEC) education strategy, Mastercard Foundation's recent launch of research on secondary education in Africa, our reputation as an education think tank continues to grow. education technology. WISE plans targetedimpact studies on new learning technologies, to ensure the Accelerator supports entrepreneurs and contributes to creating knowledge. Over the past 18 months WISE has taken its message to Tunis, Beijing, and Madrid. With the success of these regional forums, WISE announced it will travel to Ghana in May 2018 to team up with WISE Prize for Education Laureate, Dr Patrick Awuah, for WISE@Accra. WISE will also participate in New York for WISE@UNGA in September, and in March 2019 for WISE@Paris, before returning to Doha in November for WISE 2019. 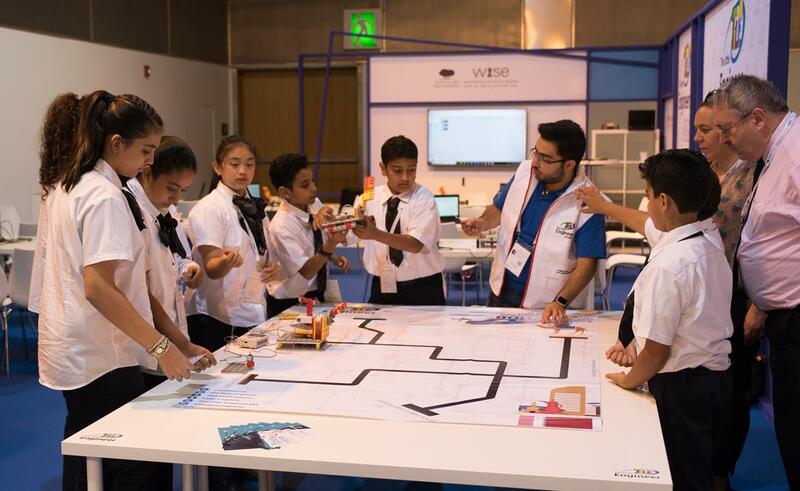 Pictured from WISE 2017: Young delegates and their teachers engaged with 'The Litttle Engineer' Experiential Learning Lab in the WISE Majlis. 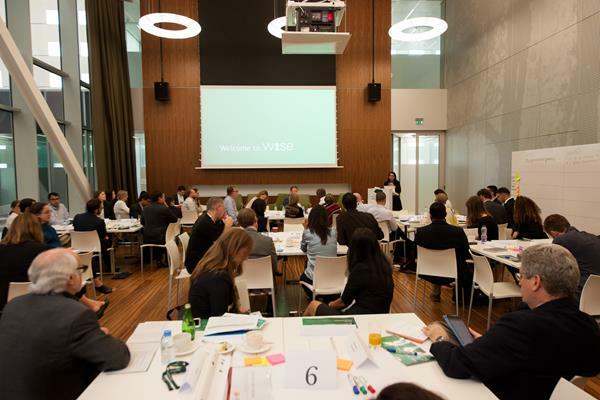 In a pre-summit program, WISE hosted over 80 key education stakeholders for a day-long working session to discuss how to strengthen a global education ecosystem to foster a learning and sharing infrastructure to advance learning outcomes and achieve universal quality education (UN SDG 4). The session was the third gathering on this topic held by the Global Education Ecosystem informal working group created in follow-up to the Education Commission’s Learning Generation Report, and co-led by Teach For All, Center for Global Education (CGE) at the Asia Society, the Center for Universal Education (CUE) at the Brookings Institution, Results for Development, the Boston Consulting Group, and WISE. Matterfund has partnered with WISE to launch a new visual atlas for education development. Profiling over 300 organizations globally, the living atlas shows initiatives working toward the UN Sustainable Development Goal for universal quality education. funding opportunities, and follow compelling projects and publications in education development. The atlas will continue to grow as Matterfund works alongside WISE, NGOs and regional leaders. Initiatives can register to claim their profiles and showcase their work. In a new report, Can We Leapfrog? The Potential of Education Innovations to Rapidly Accelerate Progress, researchers at the Brookings Institution chart a new path forward in global education by examining the possibility of leapfrogging—rapidly accelerating educational progress to ensure that all young people develop the skills they need to thrive in a fast-changing world. The report presents an evidence-based, theoretical pathway for leapfrogging in education that can help guide investors, innovators, and governments alike. The Brookings report also introduces a catalog analyzing almost 3,000 global education innovations, the largest such collection to date. To develop this catalog, Brookings has brought together fifteen organizations called 'Education Innovation Spotters'. WISE is proud to be one of these, scanning the landscape of innovative programs, schools, policies, approaches, and tools around the world and making this information publicly available to all, and to our colleagues at Brookings.